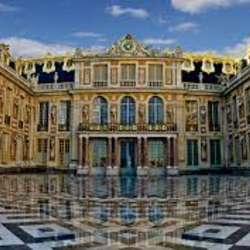 Visit at the Versailles Castle for 1 person! I will bring you to the château de Versailles, we will skip the queue and get free audio guides. I'm happy to take pictures of you to keep as souvenirs. We can also visit the garden, weather permitting. I will stay with you for 2 hours, but you can continue the visit on your own afterwards. All profit goes to Paws, a charity I have volunteered at in the past. Please contact me if you are interested but the time and date is not suitable. Payment will be asked in advance. Normal entrance fee for Castle and Garden is 30 euros, but then you will have to do the queue to get in.